Huntington Woods James Hardie Siding | Huntington Woods James Hardie | Huntington Woods James Hardy Siding | Huntington Woods James Hardie Fiber Cement Siding | Huntington Woods Fiber Cement SidingMcGlinch & Sons CO.
McGlinch & Sons opened for business in 1917 and since then we have been serving customers all over the Greater Detroit Metropolitan Area and Southern Michigan area with the James Hardie Siding products. McGlinch & Sons is a well-trusted and successful family-owned business. We are honored to serve our customers with four generations of talent and understanding. We are renowned for the James Hardie products that we sell and James Hardie Siding is the Nation’s #1 Brand of Siding! For 97 years we have been able to successfully deliver the James Hardie Siding products to the customers of Huntington Woods. The James Hardie brand brings an overall beauty to your home, as well as a since of safety. Our products will also increase the value of your home. James Hardie Fiber Cement Siding is known to be resistant to all type of weather conditions and is low-maintenance when it comes to maintaining it. One great thing about James Hardie Siding is that it is hurricane resistant. We all know that Michigan gets severe windstorms, hailstorms and tornadoes. Fortunately we do not get any hurricanes, but we do endure plenty of bad weather that can damage homes and buildings. 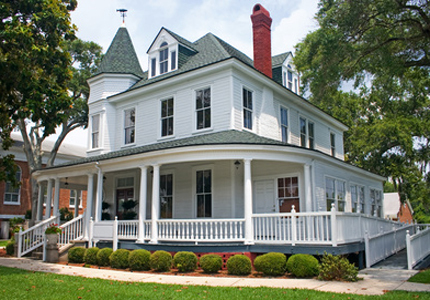 McGlinch & Sons’ James Hardie Siding is much better than both vinyl and wood siding products combined. That is one of the main reasons why our customers always chose McGlinch & Sons. James Hardie Siding will indeed put an end to the moisture buildup that is caused by the rain, snow and humidity. Most importantly because of its impact-resistance against debris caused by hail and wind, the James Hardie Fiber Cement Siding is recommended by building codes for homes built in areas prone to hurricanes, tornados and wildfires. If you’re interested to learn more about McGlinch & Sons just give shout at: (248) 987-6300 to get any additional questions answered.